Dr. Craig is the owner of Gentle Goodbye Veterinary Hospice & At-home Euthanasia. She founded this innovative practice to help people say goodbye to their pets in a way that honors the relationship, commitment and amazing bond clients have, often making the loss easier and providing space to grieve. Prior to starting her practice, Dr. Craig worked for nearly ten years at Pfizer Animal Health in Marketing and Strategy. She also founded a management firm, CraigWorks Consulting, where she consulted with hundreds of veterinary practices to help them grow. She has contributed to Veterinary Economics, the British journal In Practice, and other publications and has lectured nationally to veterinarians and students. 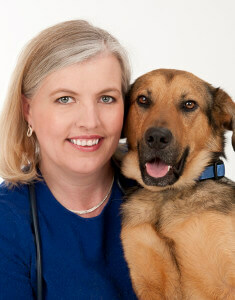 Dr. Craig is a graduate of the University of Minnesota, College of Veterinary Medicine. In addition, she earned an MBA in Marketing & Strategy and a BS in Animal Science. After graduation from veterinary school she worked in private practice in Nebraska, Minnesota, Wisconsin and now New England. Mary is the Immediate Past Board Chair for Pet Partners, an organization with almost 10,000 volunteers nationwide who help people live healthier, happier lives through human-animal interactions. 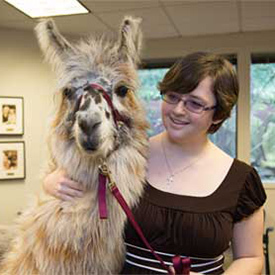 She is also on the board of the American Association of Human-Animal Bond Veterinarians. She lives in Stamford, Connecticut with her husband, Michael Moore, dog Guinness, and cat Pixel. To arrange an interview with Dr. Craig please contact the press office on (425) 679-5514 or email press@petpartners.org.